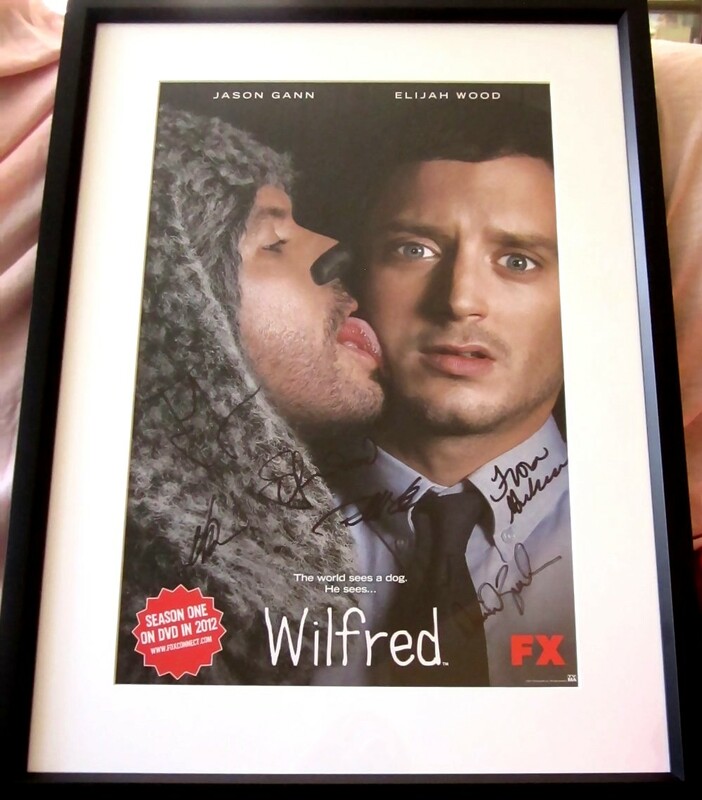 11x17 inch poster of the TV show Wilfred autographed in black marker by stars Elijah Wood, Jason Gann, Fiona Gubelmann and Dorian Brown, plus executive producers David Zuckerman and Randall Einhorn. 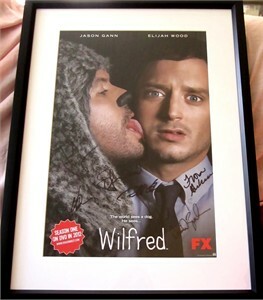 Professionally matted and framed with glass, ready to hang. 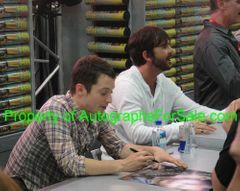 Obtained in person at very limited 2011 Comic-Con signing, with certificate of authenticity from AutographsForSale.com and photo from the signing. ONLY ONE AVAILABLE FOR SALE.